Sure, a bulky, noisy key ring is one of life’s smaller problems. But that doesn’t mean we can’t solve itâ€”especially when the solution is as sleek as this one. And 30% off, to boot. Get the KeySmart 2.0 for $15.99. Keep up to 10 keys neatly tucked away in this compact organizer. 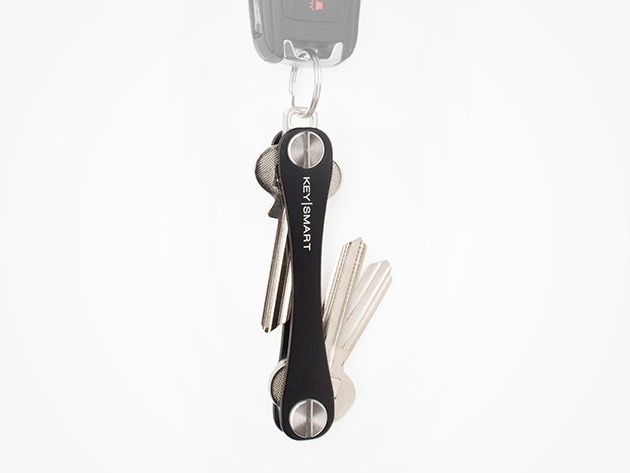 The KeySmart 2.0 holds two times the keys in half the space, accommodating keys of almost all shapes and sizes in a design the size of a pack of gum. And since it’s made of stainless steel, it won’t fall apart if you throw it in your bag every day. Got car keys? Use the included loop to attach them to the KeySmart. Don’t miss your chance to get the KeySmart 2.0 for 30% off. Get it for $15.99 at the SitePoint Shop!